Madagascar’s Prime Minister announced his resignation on Monday in the first step towards the naming of a “consensus” premier to resolve a political crisis sparked by controversial electoral reforms. The Constitutional Court has ordered President Rajaonarimampianina to form a government of national unity with a “consensus prime minister” to avert a full-blown crisis. For that to happen, the current government was required to resign and the president was ordered to name a new prime minister by June 12. “I will tender my resignation to the president today. 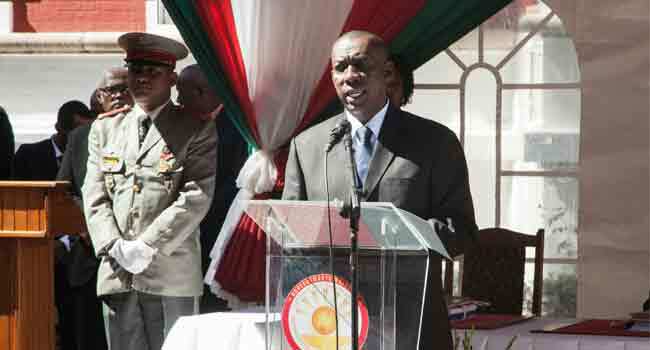 As a statesman, I cannot be an obstacle to the life of the nation,” Olivier Mahafaly Solonandrasana told a press briefing. “I will leave this magnificent palace, (but) I tell you this is not ‘goodbye’,” he added without giving details of his future plans. No successor to Solonandrasana has yet been named.